The sentiment in this stamp set could be used for many different occasions. I like this stamp set because you have the option of using the sentiment inside the watch circle or using the clock face stamp. If you use the clock face on the outside of your card you can use the sentiment inside. The stamps for the clock hands can also be used to create a border. 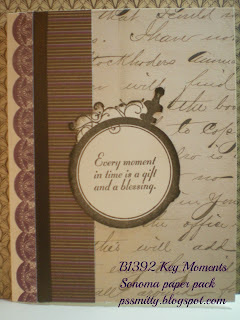 The stamped watch would also make a great element for a scrapbook page in your Heritage scrapbook. There are 2 key stamps included in this set and the words LOVE and FOREVER, a total of 10 stamps. 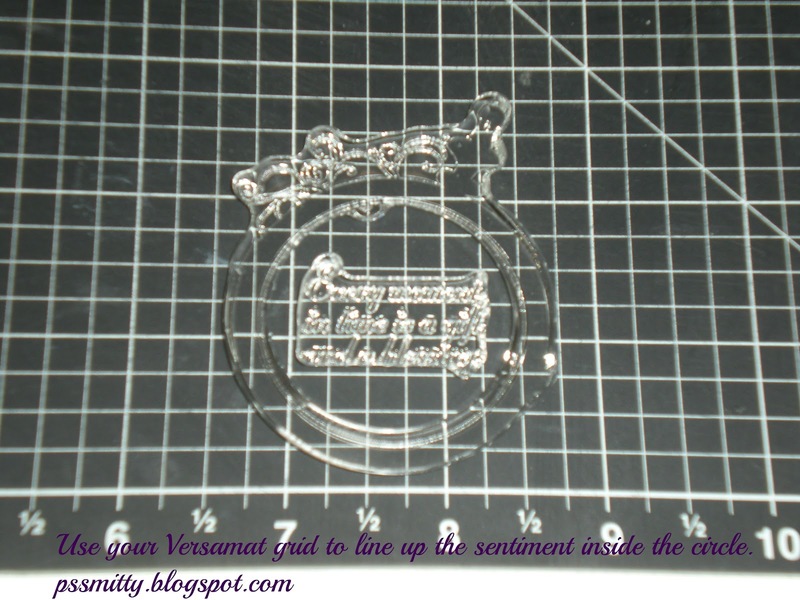 TIP: use the grid on your Versamat to center the sentiment inside the watch circle and stamp them together. card and a piece of cocoa satin ribbon.